A warm welcome to new captains! Greetings captain, just send me a message ingame and we'll sail together a few rounds! o7 Greetings and welcome to warships! Glad to hear you enjoy the game, who wouldn't? ;) As for upcoming ships and countries, your guess is as good as mine. But rest assured, ships will be added on a regular basis, that I am sure of! 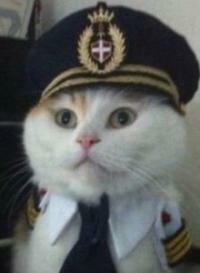 Hi Hornblower_RN and welcome to Warships! What slots are we talking about? Port slots? And are talking about the actual tech trees of these nations or the premium ships?As for premium ships, you get a slot in the pacage deal. But I think you are talking about the standard port slots you get on your account. Will there be more standard port slots to match the number of tech trees? That is a good question. I really do not know, but I can only assume that WG will make it logical. I'm having trouble seeing such a limitation, where a free gamer has to sell his top tier cruiser to make room a tier 1 english warship.It sounds very counter productive. I am not certain, but I have faith that WG will solve that issue in a professional manner. Tweaks or tricks to improve graphics? Ok I got it running now on simulated 3840x2400. It does look a lot nicer than before. Only real problem now is that I cannot read the text on anything ingame, as I play on a 42" TV But I will experiment more with the settings. What do you think, is there any point to add sweetFX on top of it all? Another interesting tip, thanks! Yes, I don't really have much of a problem with FPS, but like you say it sometimes feels like its not as smooth as the you'd want on top settings. I will try this out, again thank you! Hello all! Like the topic states, do you have any tweaks or tips to improve the graphics of the game? Is there any settings in nvidia one could change to get better performance? The only thing I have done outside the game is put the GPU power on 100% when working with WoWs. Perhaps someone made a profile? My specs: OS: Windows 7 Home Premium 64-bitGPU: NVIDIA Geforce GTX 780 3GBCPU: Intel® Core i7-4770K CPU @ 3.50GHzMemory: 8,00 GB RAM Needless to say, I can run the game on Very High. But I still feel it's..a little jagged at times? Any features that should be switched off perhaps? I'm not the brightest when it comes to GPU stuff, last time I was that into hardware was when the Voodoo 3d cards were released a few hundered years back ;) Thanks in advance for any tip! Was the matchmaker changed in the last patch? Greetings! Just want to welcome new players to Warships. I hope the game will give you many hours of good gaming! I also would like to say that if you want something explained or have general questions ingame, feel free to add me and start a chat ingame. I will gladly try to help out as best I can. After all, this is a friendly place So feel free to message me if you want to discuss game related stuff, or want someone to tag along for a few games. Again, welcome and enjoy your stay!